Frederick Baijukya, a Tanzanian national, is the N2Africa Country Coordinator for Tanzania. He obtained his PhD in Production Ecology and Resource Conservation: Plant Production Systems (2004) from Wageningen University, The Netherlands. 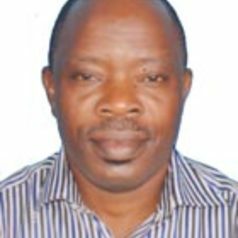 He received two MSc degrees at Sokoine University of Agriculture, Tanzania, one in Soil and Land Management (specializing in soil microbiology) and the other in Agriculture (specializing in soil science). He previously worked as a Consultant (Agrobiodiversity) with IITA from 2013 until his new appointment. Before this, he was a Scientist (Agrobiodiversity) with the International Centre for Tropical Agriculture (CIAT) (February 2010‒ October 2013); Consultant with the FAO on Transboundary Agroecosystem Management of the Kagera River Basin covering Tanzania, Uganda, Rwanda, and Burundi (January 2007‒January 2010); Senior Agricultural Research Officer and later Principal Agricultural Officer, Research Coordinator, and Head of Special Program at Maruku Agricultural Research Institute in Tanzania (August 1995‒January 2007). He was also employed by the Ministry of Agriculture, Research Institute, Kilosa, Morogoro, Tanzania, from November 1991 to July 1995.